Chrome Hoof’s new album’s been 3 years in the making so to celebrate its launch they’re throwing what promises to be one of the events of the year. 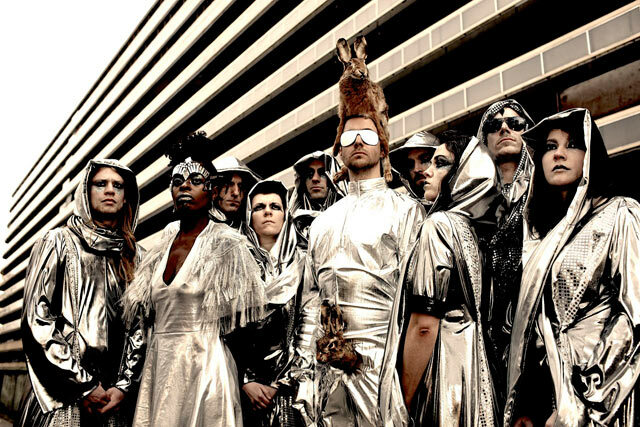 The Hoof live experience is the stuff of legend, a full 12-piece doom house electro-disco metal extravaganza, 30ft robots and a warehouse transformed into the Chrome Hoof space station for one evening. Simian Mobile Disco (DJs), Andrew Weatherall, David Holmes and Nathan J Wilkins are all on the bill plus extra special surprises on the night! The Crush Depth party takes place at the Bocking Street Warehouse on the 4th of June. Tickets are 11 pounds and available here. WIN a PAIR OF TICKETS from Music Like Dirt courtesy of their label. To enter simply leave a message via Facebook / Twitter / Comments at the bottom or good old fashioned email! On the 1st of June I’ll pick a winner at random. Good luck! Chrome Hoof – “DJ Mix” (MP3) – see bottom of post for tracklisting.